Coffee is perhaps one of the most vital ingredients in humans’ daily life in modern world. However, this causes the production of million tons of relevant wastes, i.e., plastic cups, aluminum capsules, coffee chaff (silver skin), and spent coffee grounds (SCG), all thrown untreated into landfills. It is estimated that 1 kg of instant coffee generates around 2 kg of wet SCG; a relatively unique organic waste stream, with little to no contamination, separated directly in the source by the coffee shops. The produced waste has been under researchers’ microscope as a useful feedstock for a number of promising applications. SCG is considered a valuable, nutrients rich source of bioactive compounds (e.g., phenolics, flavonoids, carotenoids, lipids, chlorogenic and protocatechuic acid, melanoidins, diterpenes, xanthines, vitamin precursors, etc.) and a useful resource material in other processes (e.g., soil improver and compost, heavy metals absorbent, biochar, biodiesel, pellets, cosmetics, food, and deodorization products). 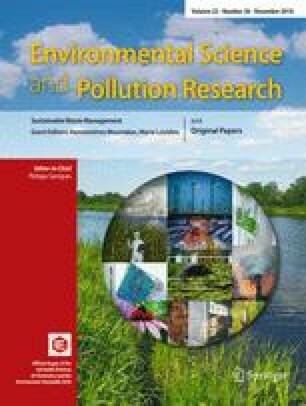 This paper aims to provide a holistic approach for the SCG waste management, highlighting a series of processes and applications in environmental solutions, food industry, and agricultural sector. Thus, the latest developments and approaches of SCG waste management are reviewed and discussed.